[PDF] The European Human Rights Culture: A Paradox of Human Rights Protection in Europe? 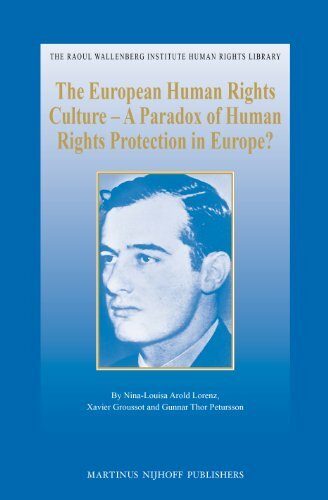 (The Raoul Wallenberg Institute Human Rights Library) | Free eBooks Download - EBOOKEE! Description: The European Human Rights Culture A Paradox of Human Rights Protection in Europe? analyses the political term European Human Rights Culture, a term first introduced by EU Commission President Barroso. Located in the fields of comparative law and European law, this book analyses, through first-hand interviews with the European judiciary, the judicial perspective on the European human rights culture and sets this in context to the political dimension of the term. In addition, it looks at the structures and procedures of the Court of Justice of the European Union (CJEU) and the European Court of Human Rights (ECtHR), and explains the embedding of the Courts legal cultures. It offers an in-depth analysis of the margin of appreciation doctrine at both the CJEU and ECtHR, and shows its value for addressing human rights grievances. No comments for "[PDF] The European Human Rights Culture: A Paradox of Human Rights Protection in Europe? (The Raoul Wallenberg Institute Human Rights Library)".